Recharge points for electric taxis will be put in place in Southend-on-Sea following a government funding grant. The four rapid electric chargers will be for the exclusive use of taxis, making it easier and more viable for taxis to be electric and helping to improve air quality in and around the town. The four chargers will cost £120,000, with £90,000 coming from a Government grant. The project will start with a consultation with the local taxi drivers, before locations are chosen and chargers procured and installed. The chargers should be in place by summer 2020. Cllr Andrew Moring, cabinet member for infrastructure, said: “This is excellent news for the town as it will help us fulfil our duty to do all we can to promote sustainable transport and protect our air quality for future generations. 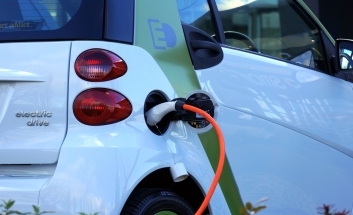 The grant is part of a £450,000 pot of funding for 17 charge points across the East of England region. It is another milestone announcement in the delivery of the government’s Road to Zero Strategy and Future of Mobility Grand Challenge, which aims to take advantage of innovation in UK engineering and technology to usher in cleaner, greener journeys. The project also supports the council’s Air Quality Action Plan which was agreed locally and approved by DEFRA in June 2018 in response to high levels of nitrogen dioxide being recorded along the A127 between the Bell and Cuckoo corner junctions in November 2016. The air-quality data recorded by the council shows that the majority of air pollution is caused by vehicles, especially queuing vehicles, so focussing on transport would have the most immediate and beneficial impact and help support our Low Emission Strategy (LES) adopted by the council in December. Cllr Mark Flewitt, cabinet member for public protection, said: “We need to do all we can to improve our air quality, which is why we introduced the Air Quality Action Plan.